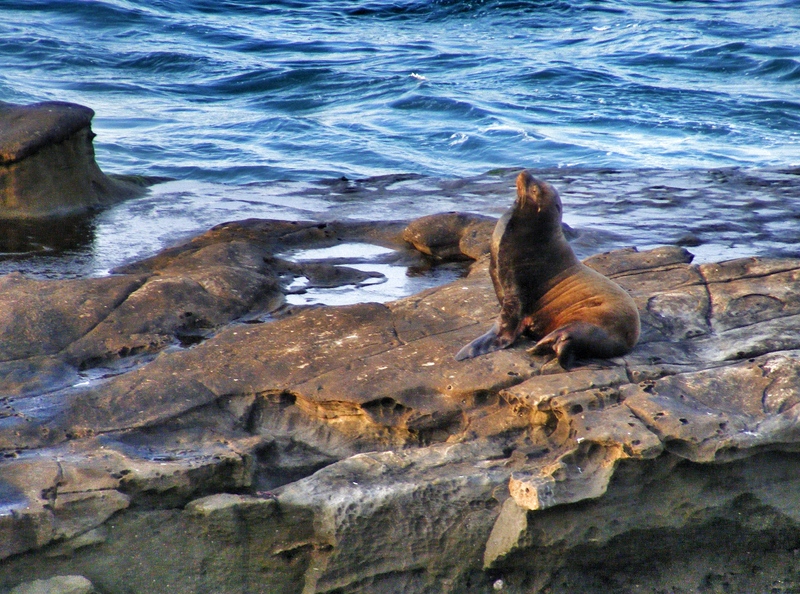 We went to La Jolla one evening while at the Children’s Pastors’ Conference in San Diego. 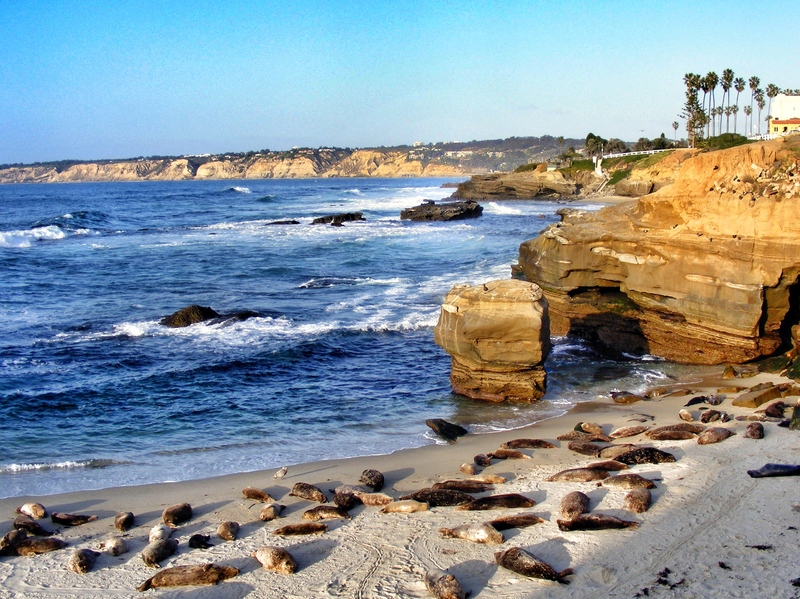 The Children’s Pool has been taken over by Harbor Seals. 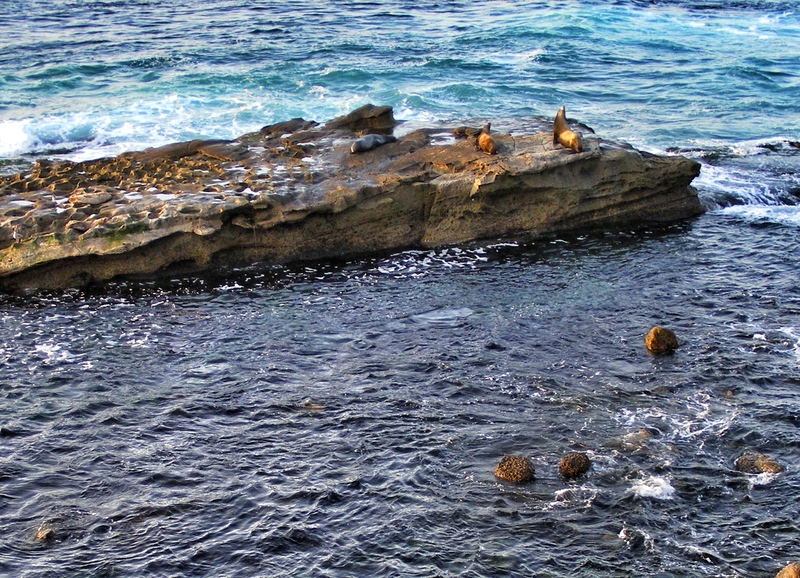 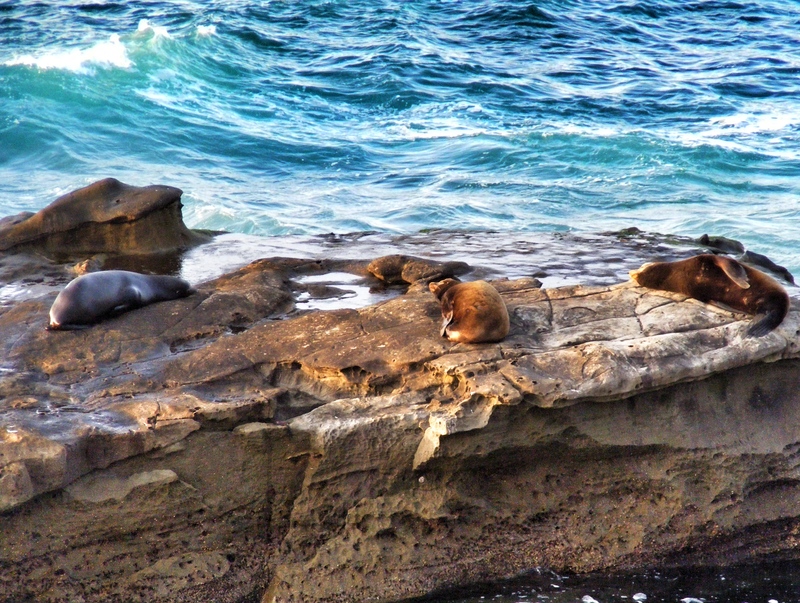 On the nearby rocks, several California Sea Lions were stretched out. 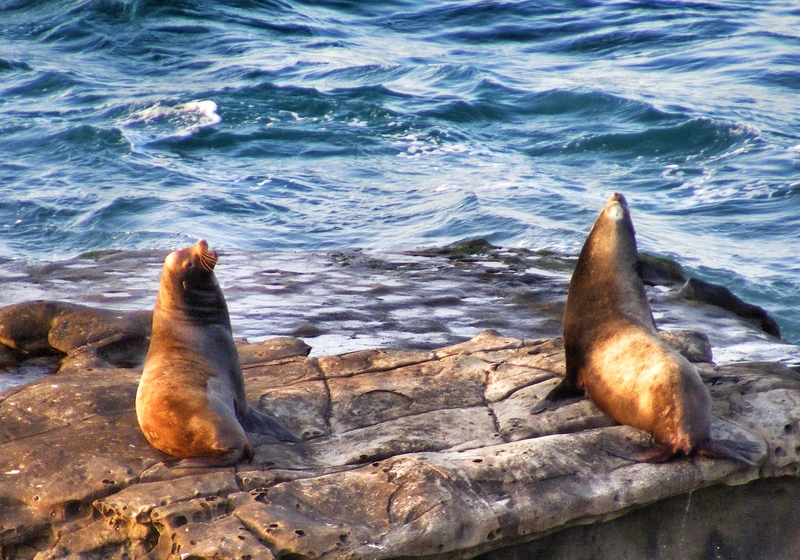 They weren’t moving as we passed the first time, but two males were sitting up an hour later when we went by at sunset, and for a short time, they were bellowing at each other. 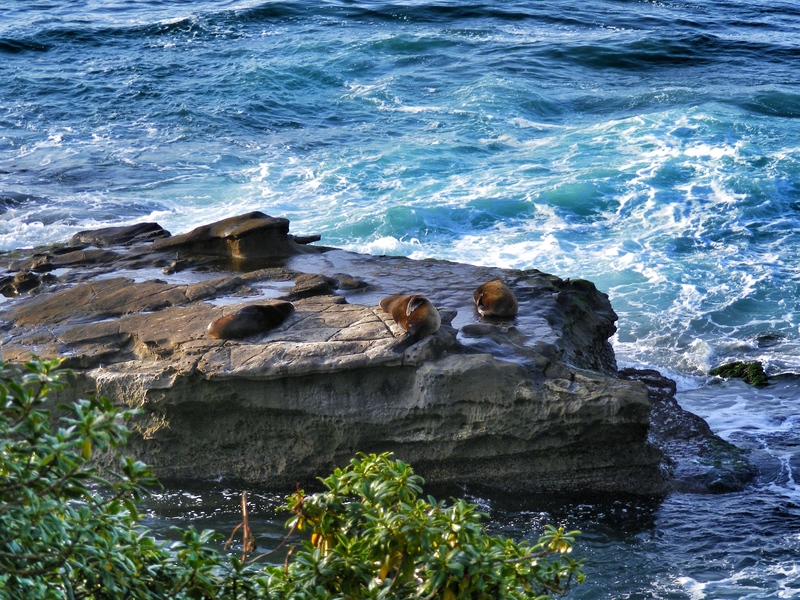 Casa Beach (Children’s Pool) with Harbor Seals on the beach in the foreground and the rock where the sea lions were hanging out in the middle distance.